A person is hanging upside down in the dark. He is circled by a horse wraps him with a ribbon. Will the obedient horse hurt this man physically and psychologically in a way that he will never be who he once what? Or is he retreating from his active life, embarking on a journey into the darkness of his own underworld? Katharina Haverich uses the uncertainties of dreaming as the structural framework for this live art installation in which man, animal, and material generate unique visual phrases depending on the momentary temperaments of the elements. 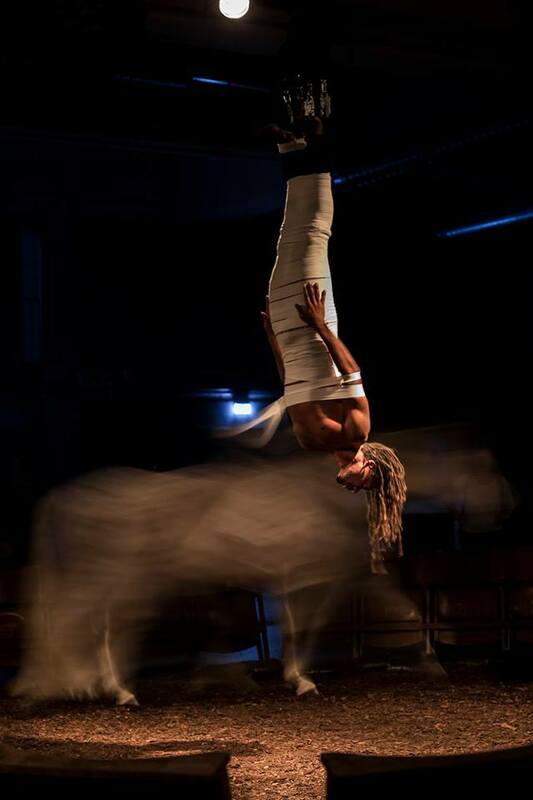 "Sequence of a Horse in Motion" is an invitation into the live experience of a dream sequence.